Kriti Sanon who has been shooting round the clock for her upcoming films has taken a short break from her commitments for a family vacation to the Maldives. Brought up in Delhi, Kriti moved out of her hometown and shifted to Mumbai to pursue her career in Bollywood. As she spends most of her time working, she often misses her family and makes it a point to spend as much quality time as possible whenever she gets a break. 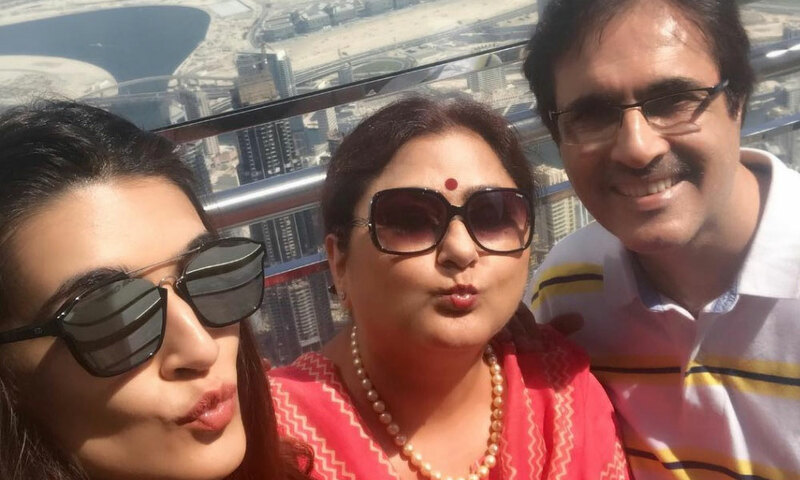 As the actress recently wrapped the shoot for three of her films, Kriti Sanon decided to take some time off for her family and take a vacation to the Maldives. Kriti Sanon is currently gearing up for her back to back releases scheduled for the upcoming year. The actress wrapped shooting for Arjun Patiala earlier this year, post which she completed the shoot of Luka Chuppi. Kriti Sanon also shot for the fourth installment of the Houseful franchise this year which would reunite her with her mentor Sajid Nadiadwala. Now, as the actress hops on to her upcoming film Panipat, she took some time off for her family.